Our physicians lead the Gainesville/Lake City area in robotic surgeries, performing several gynecological surgeries every week. As a preferred provider for referring doctors and with Dr. Agrios as chairman of the hospital-wide NFRMC robotics committee, our physicians hold expertise in these advanced techniques not found elsewhere locally. 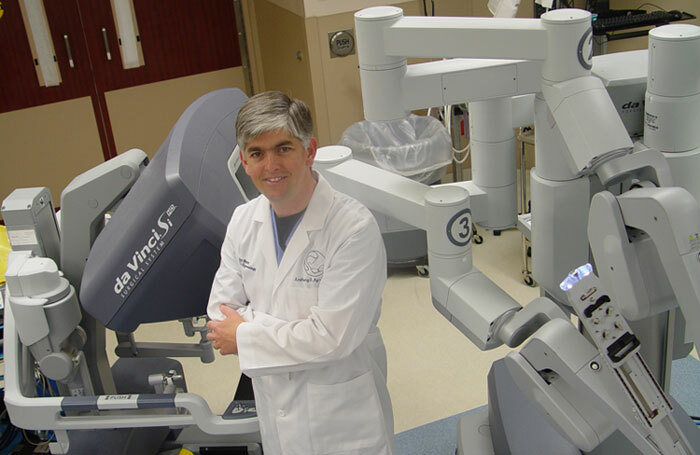 For complex hysterectomies and other gynecologic procedures, robot-assisted surgery with the da Vinci Surgical System may be the most effective, least invasive treatment option. Through tiny, 1-2 cm incisions, surgeons using the da Vinci System can operate with greater precision and control, minimizing the pain and risk associated with large incisions while increasing the likelihood of a fast recovery.